Paris Weekender - Weekly Get-to-Know-Paris Challenge #3! How often do you jump on a Velib’ ? If you do not already have a yearly pass (starting at €29 per year for adults), buy a short-term pass (1 day for €1.70 or 7-day for €8). You can now even purchase tickets online and avoid any hassles once you arrive at the bike station. Velib’ kiosks now also accept American Express credit cards (with no chip). (Unfortunately other credit cards with no chip will not work.) 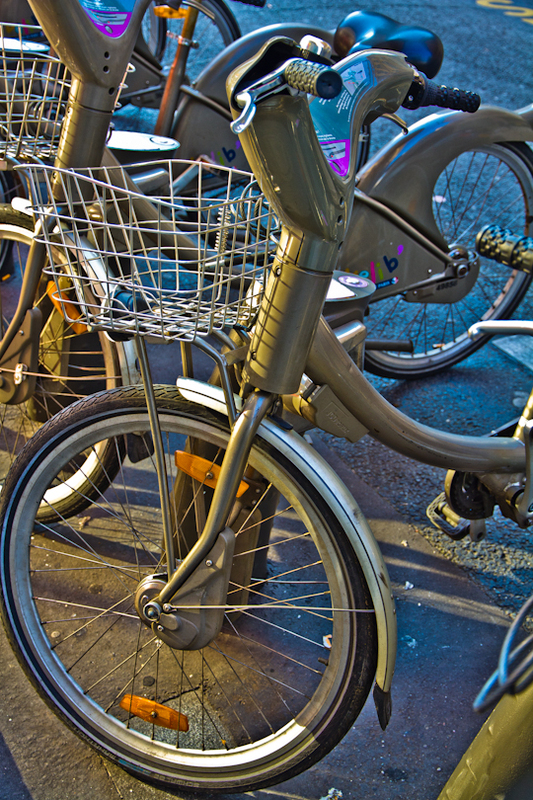 There are over 20,000 bikes available in and around Paris through the Velib’ network and over 1,800 stations. The best part: the first 30 minutes are free, after you purchase the initial pass. If you would like to ride longer, just put your bike back at one of the stations, wait five minutes, then take another bike. The clock will restart. Click here to find out more about how Velib’ works. I have to admit, I got frustrated with the Velib’s and did not use them for quite a while. Sometimes the bikes are broken and sometimes you cannot find a spot to put your bike back. But recently, I’ve jumped back on the Velib’ bandwagon and I’m loving it!